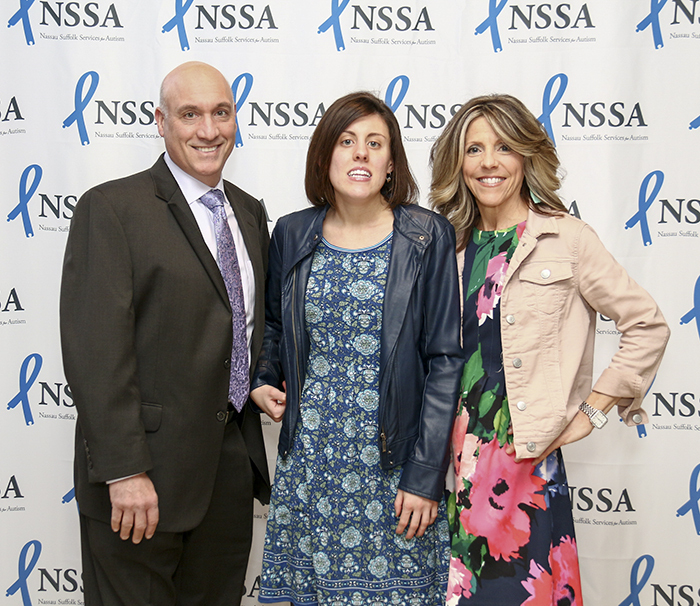 Wonderful NSSA parents, Michael and Jennifer Jurena, have once again hosted a fun and successful evening to benefit Nassau Suffolk Services for Autism! 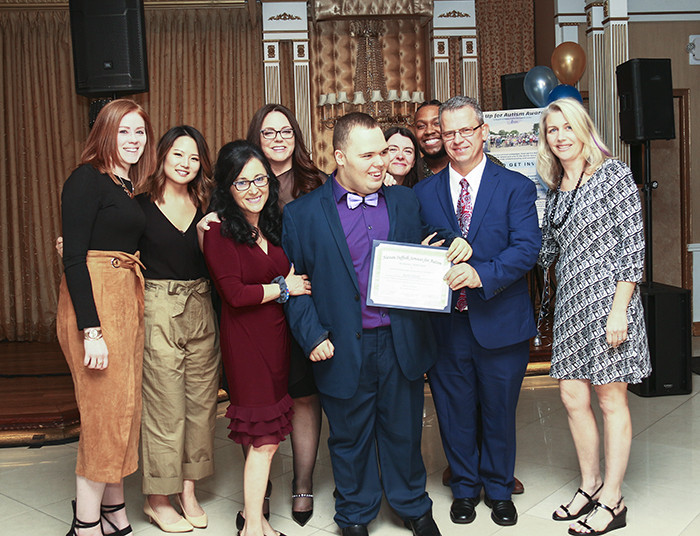 The 2nd Annual Celebrate Life in Bloom event took place on April 11 at Grandpa Tony’s in East Rockaway. 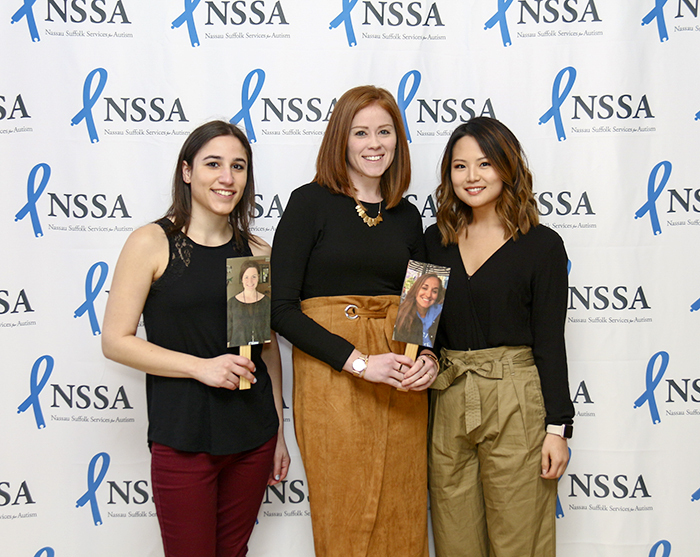 The lively crowd was full of the Jurena’s supportive family, friends and colleagues, as well as NSSA staff members and families. 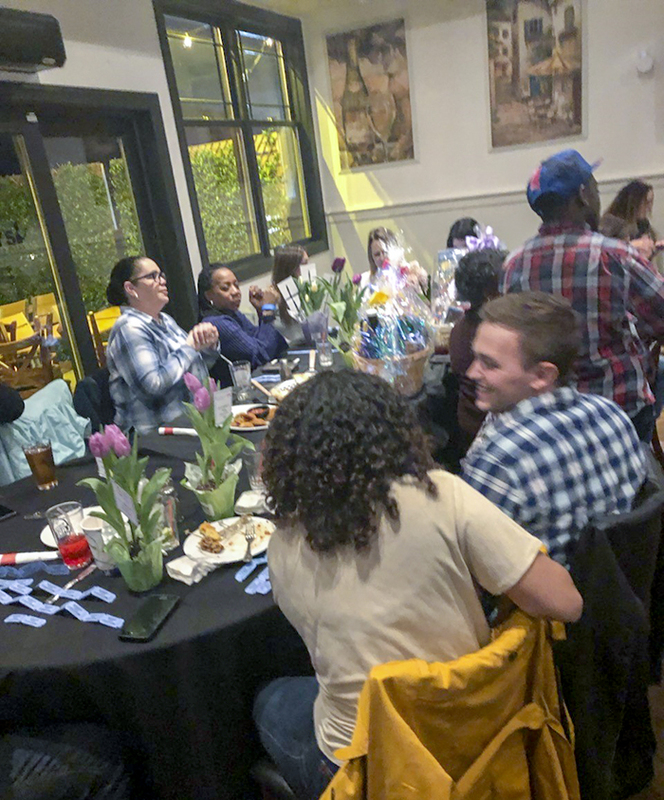 The pizza and hors d’oeuvres were delicious, the open bar kept everyone happy and the raffle & prize table was buzzing with excitement. Michael and Jennifer each spoke some heartfelt words and thanked all in attendance. (They were also celebrating their 10 year anniversary. Congratulations Michael and Jennifer!) 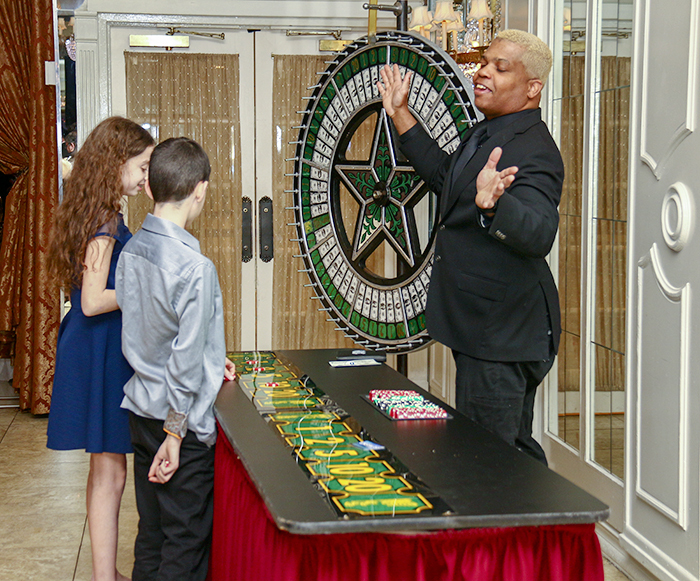 Then it was time to pull the raffles. 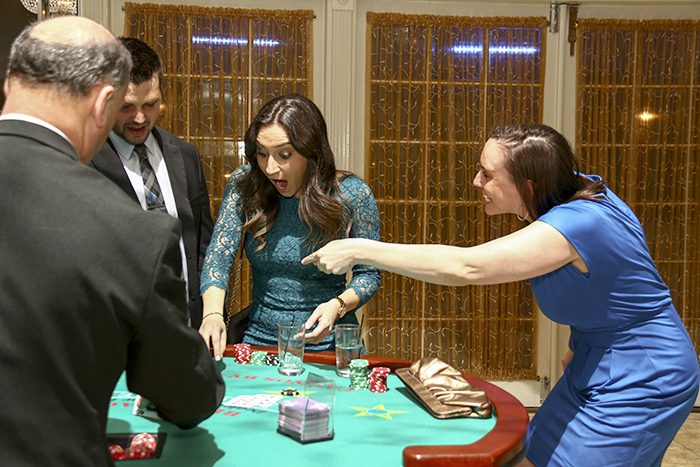 Lots of lucky guests took home exciting prizes and gifts cards. Thanks to all the local businesses who were kind enough to donate raffle items. 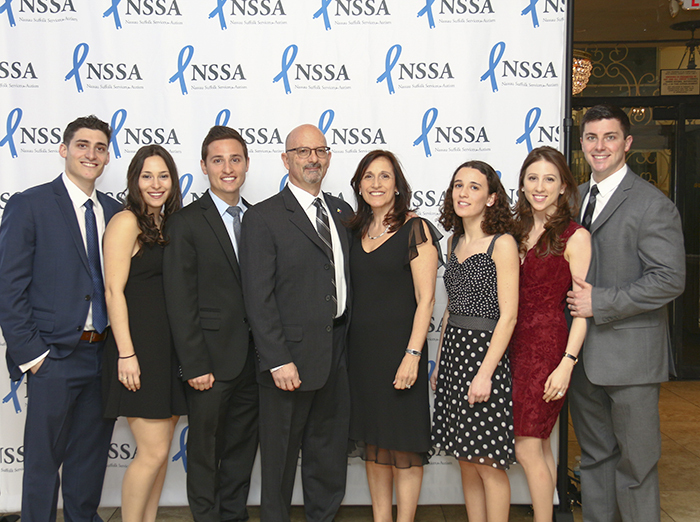 We are so grateful to the Jurena Family for much-needed funds for NSSA and for showing us a great time! 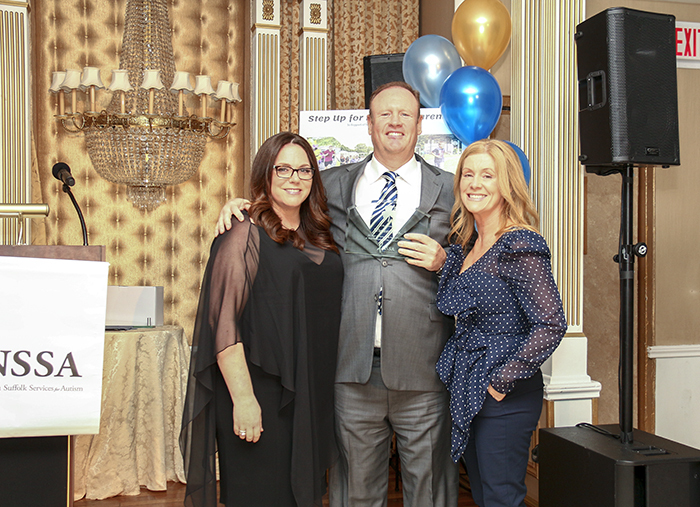 They worked very hard to organize the 2nd Annual Celebrate Life in Bloom event and it means the world to us. From the bottom of our hearts, thank you. 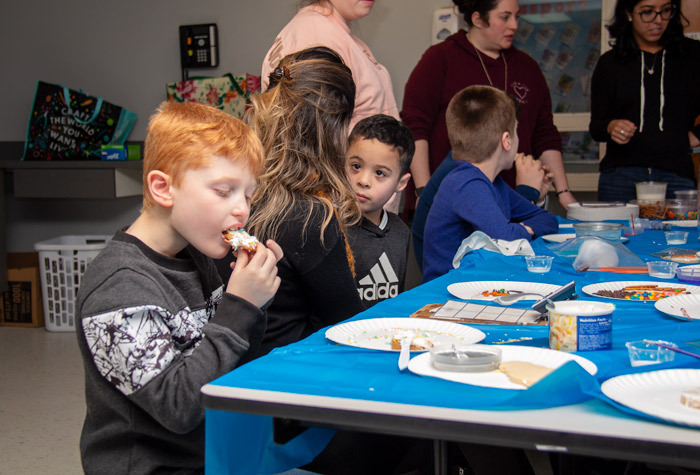 On Saturday, March 30, 2019, NSSA’s annual Dinner For Our Children was held at Leonard’s Palazzo in Great Neck, NY. 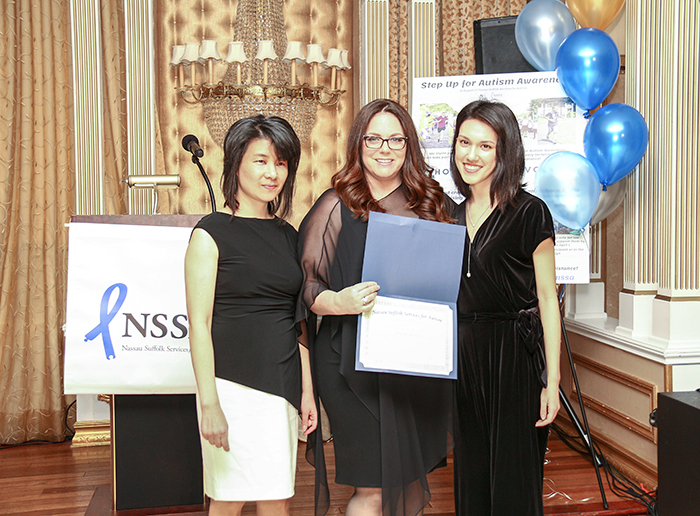 For 27 years, this event has brought together family, friends, staff and supporters to celebrate the accomplishments of NSSA, and most importantly, our students and clients. The evening began with a lavish cocktail reception. 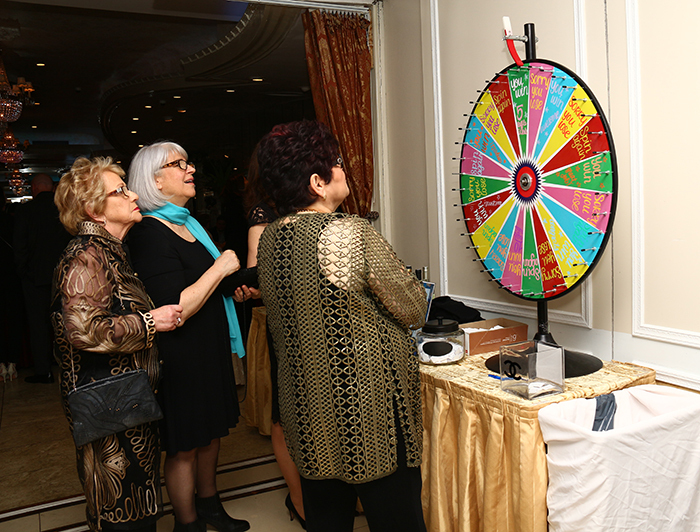 Guests enjoyed the delicious food, browsed the raffle and board prizes, shopped for beautiful beaded bracelets handmade by adult program participants, had their pictures taken and tried their luck in the casino. 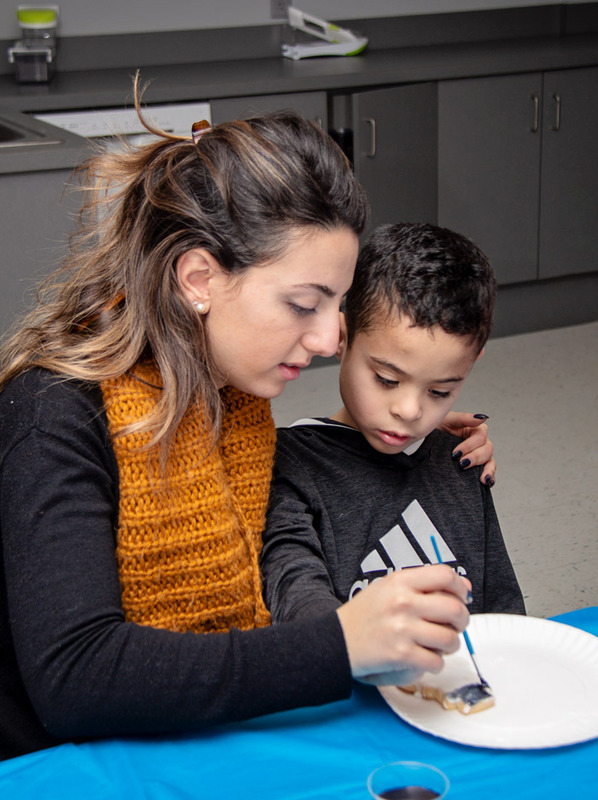 Before we knew it, it was time to sit down for this year’s event program and heart-warming video, produced by Associate Executive Director, Kathy Mannion. We were proud to introduce and celebrate this year’s two graduates and their families. 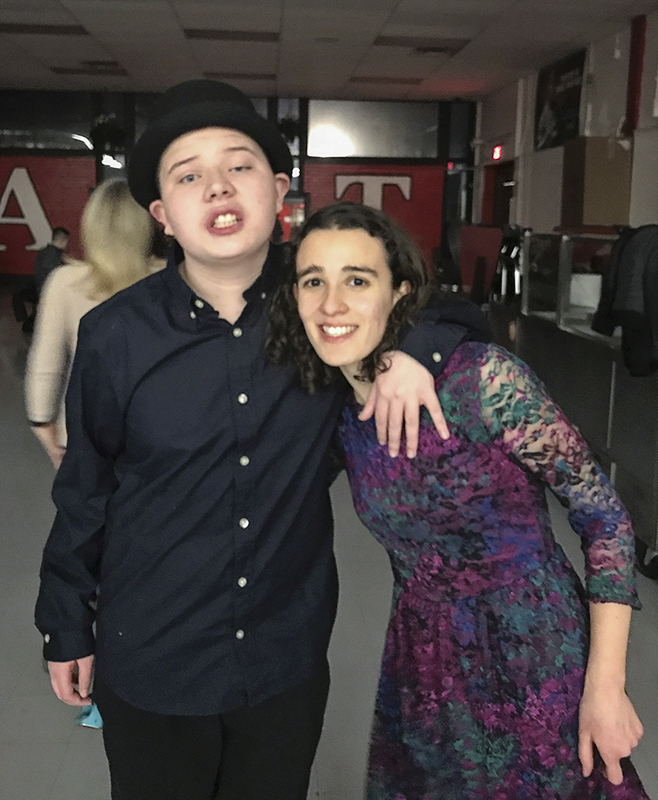 Annie and Kevin have worked so hard and made amazing progress during their time at the Martin C. Barell School. 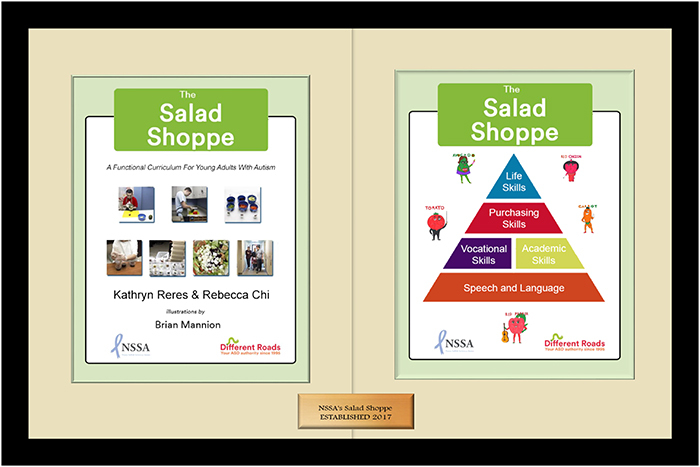 We are confident they will continue to be successful in NSSA’s Adult Services program. Congratulations to the graduates and their families! 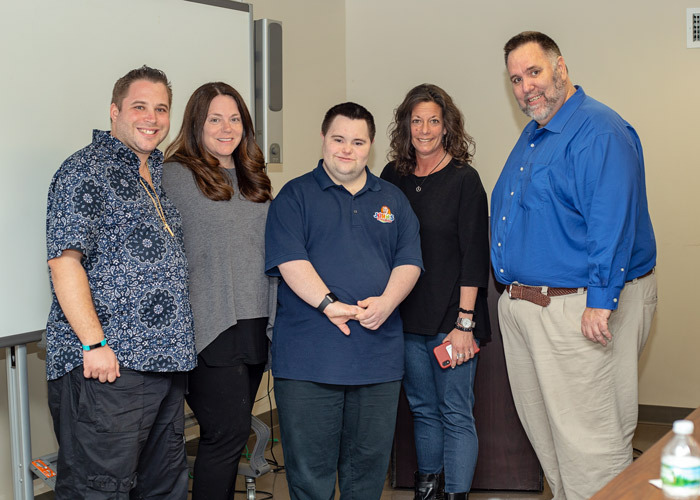 Executive Director Nicole Weidenbaum presented the Winters family with an etched glass plaque, expressing just how much we appreciate the Winters Bros. organization. 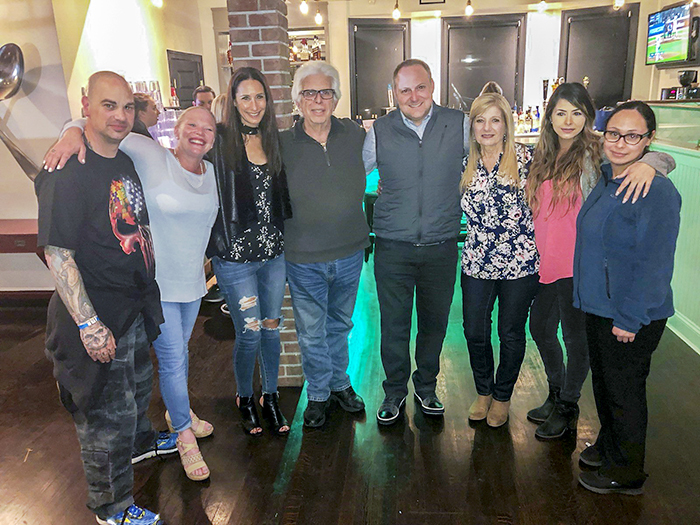 She thanked them for their wonderful generosity in sharing their facilities with NSSA, and making Winters Bros. a second home where our adult program participants can learn, work, exercise and be part of an accepting community. 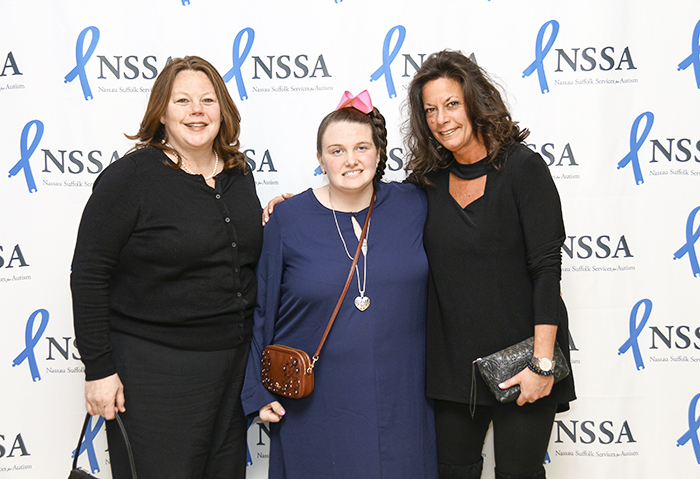 Nicole also thanked NSSA parent Liza Hein for her generosity and help with NSSA Enterprises’ bracelet endeavor; as well as parent Jennifer Prince for donating her time each week, rain or shine, to help with the NSSA Running Club. 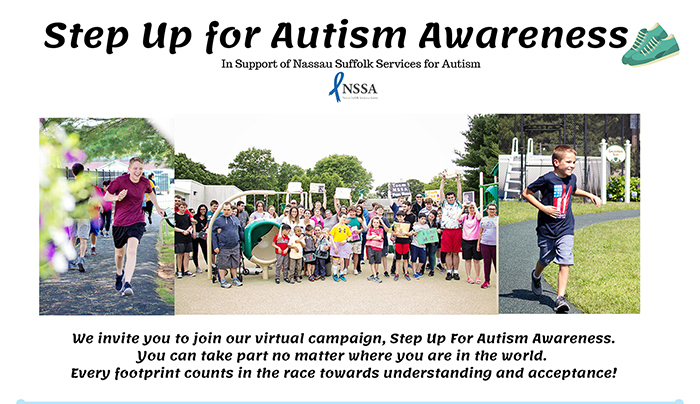 We kicked off a new fundraiser at this year’s dinner dance, Step Up for Autism Awareness, a virtual campaign you can participate in no matter where you are in the world. Participants can either register to walk or run themselves, tracking their distance with a fitness tracker or cell phone app, or by donating to the overall campaign at www.charityfootprints.com/nssa. 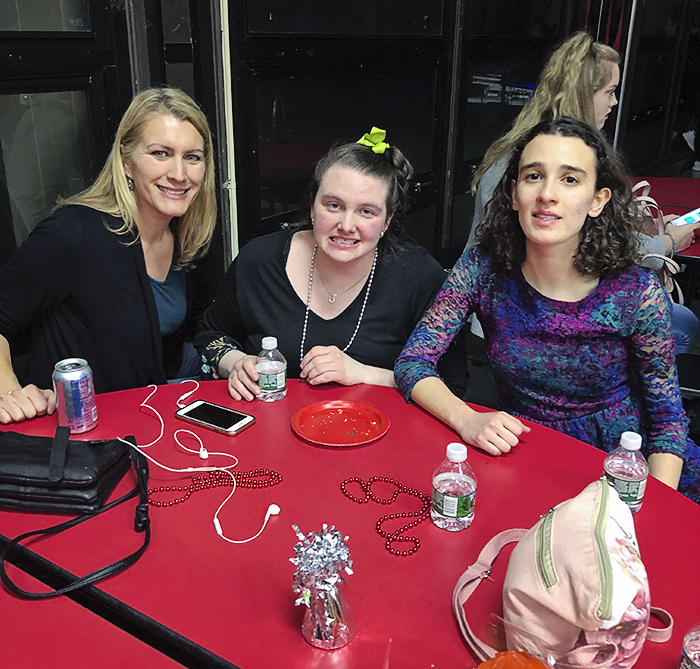 Jen O’Malley and Tori Ardito answered questions and signed up enthusiastic guests. 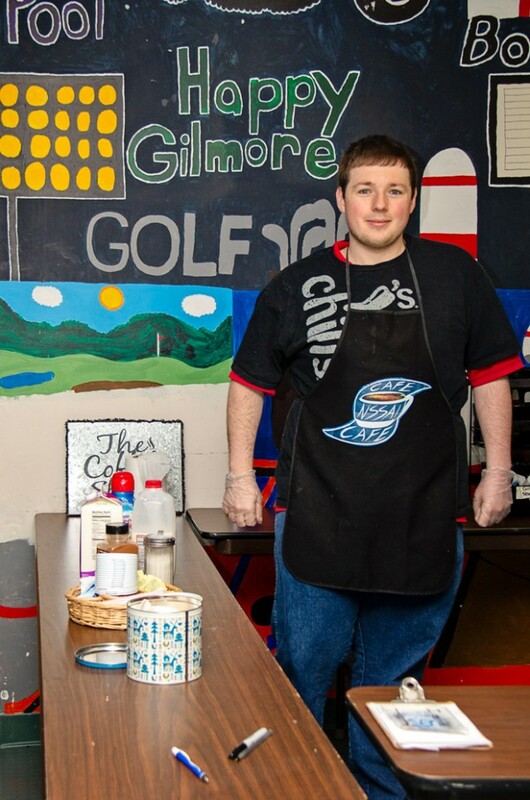 The fundraiser runs through the end of April, so there’s still time for you to participate. We couldn’t have such a successful event without our wonderful sponsors. And we always owe much of the event’s success to long-time Event Chairs: Paul & JoAnn Raguso. 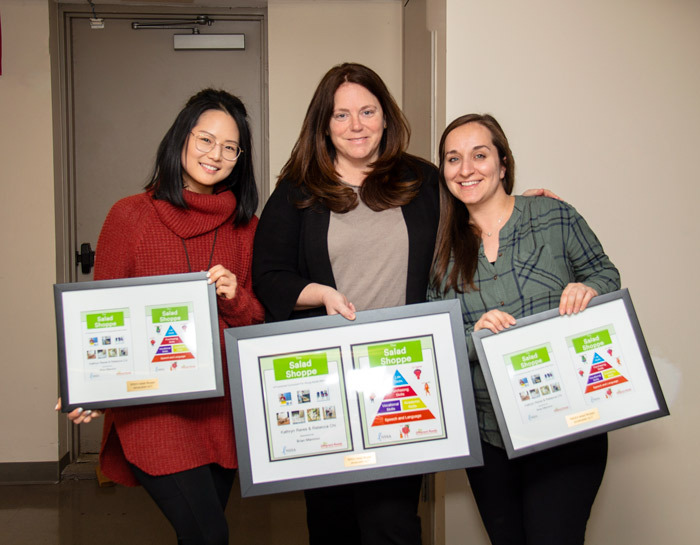 We are so grateful to everyone who helped us to offer such exceptional prizes. 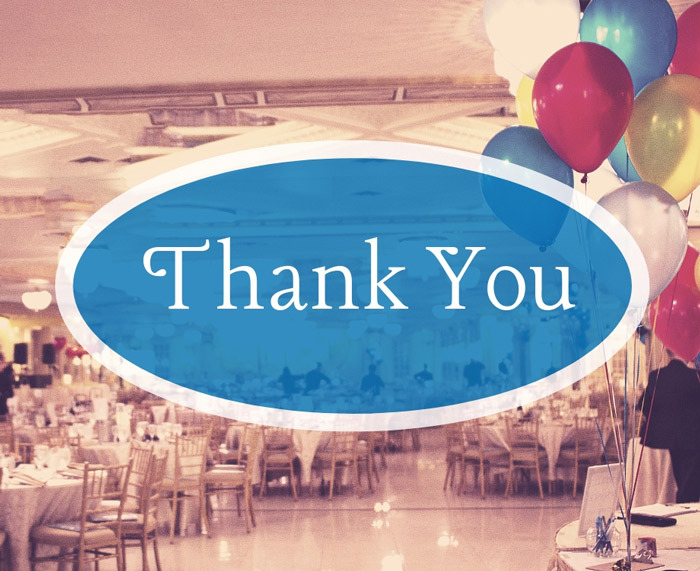 Special thanks to: Pat and Mary Beth Miranda for donating a week-long stay at Smuggler’s Notch Resort, Michael Rodriguez of Alliance Building Services for four Mets tickets in a box behind home plate at Citifield and The NSSA Parent Association for their support of this year’s dinner dance. 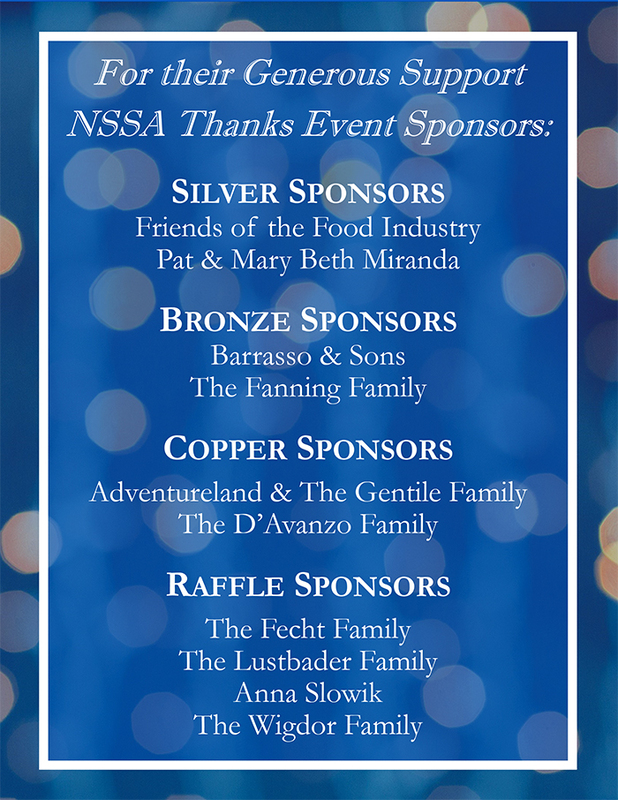 And, of course, all the individuals who donated raffle prizes through our new NSSA Amazon Wish List! Thank you so much to everyone! The evening would not have been complete without the support of our many generous friends: The Rogers Family for donating the printing of the beautiful journal, Bill Montzouros of Creative Design for his help and skill in putting together the wonderful video, M&M Casinos for running our exciting casino games, Sal Mazzeo and Chris Rosborg of CR Solutions for their technical assistance, Sandy’s Party City for the festive balloons, Sir Speedy for our signs and picture background, and, of course, Leonard’s Palazzo for their beautiful venue, delicious food and impeccable service. 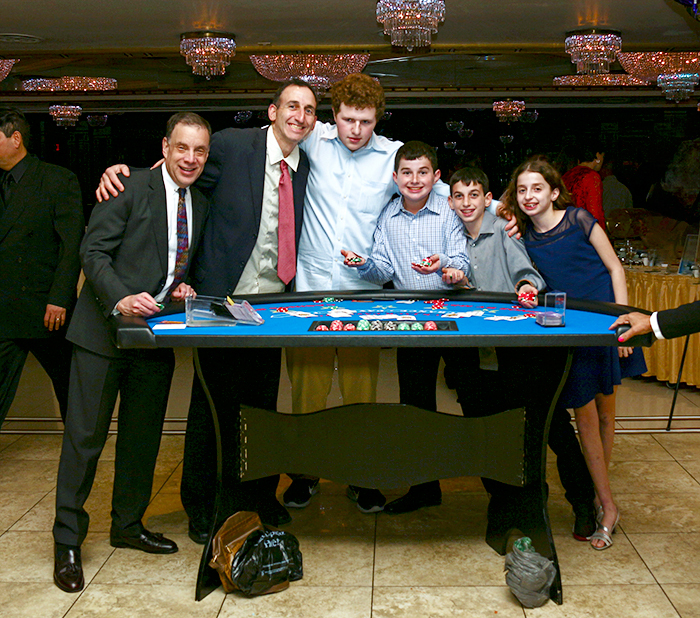 The 27th Annual Dinner for Our Children was a great success. 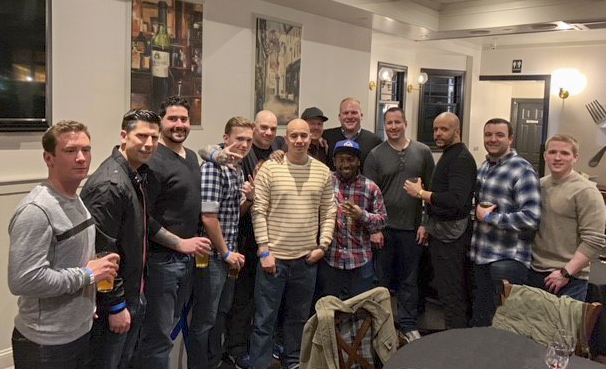 We hope you will join us next year, Saturday, April 18, 2020 at Leonard’s Palazzo in Great Neck, for another great evening. 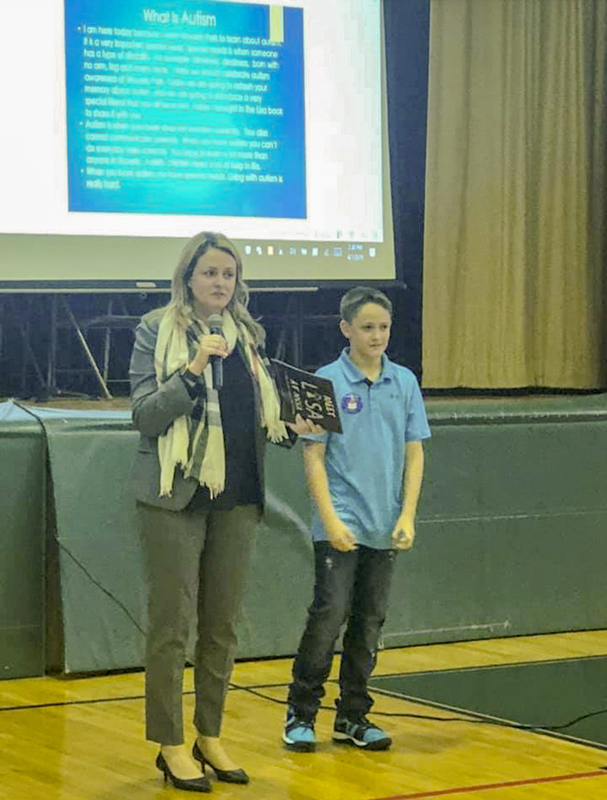 On April 2, 2019, World Autism Awareness Day, 10-year-old Jake Prince got up in front of his entire school at Waverly Park Elementary School and gave a presentation about autism to his fellow students. 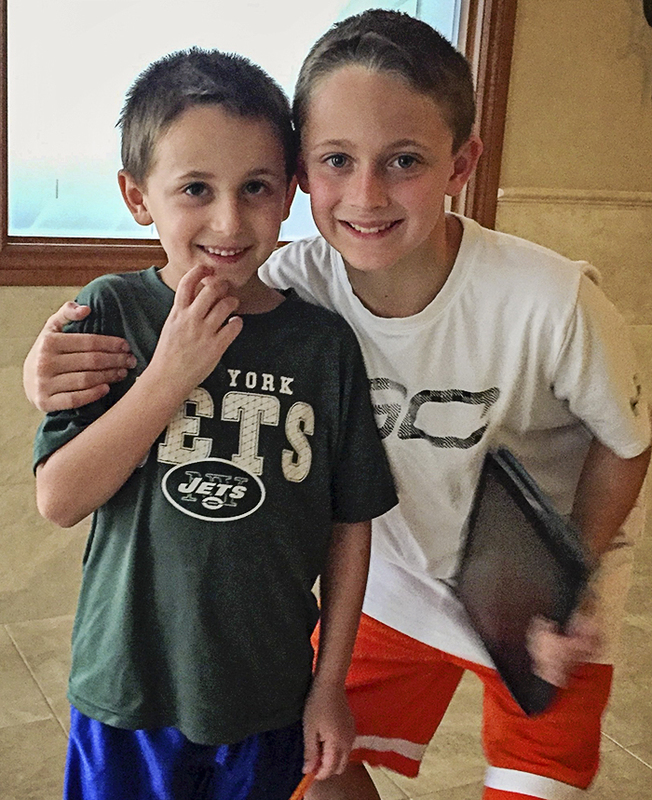 Jake’s younger brother has autism and attends the Martin C. Barell School in Commack, NY. 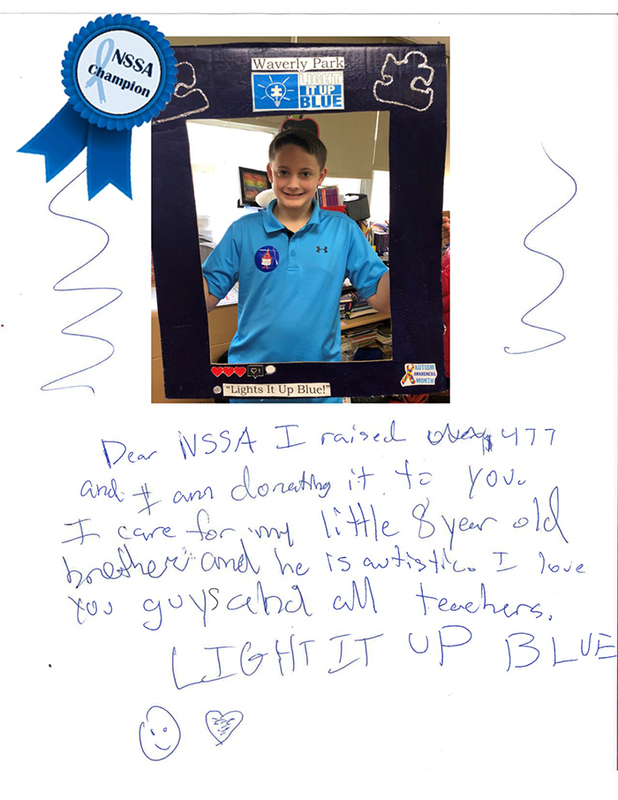 All during the week, Jake has been reading to his 5th grade classmates from Meet LISA at NSSA, a book featuring stories inspired by those served by NSSA, and selling Autism Awareness bracelets. 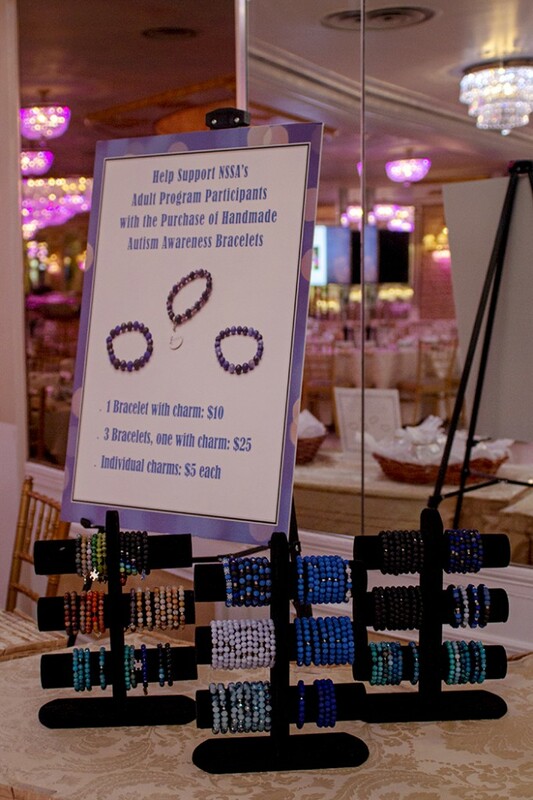 His bracelet sales raised $477 which he donated to his brother’s school! 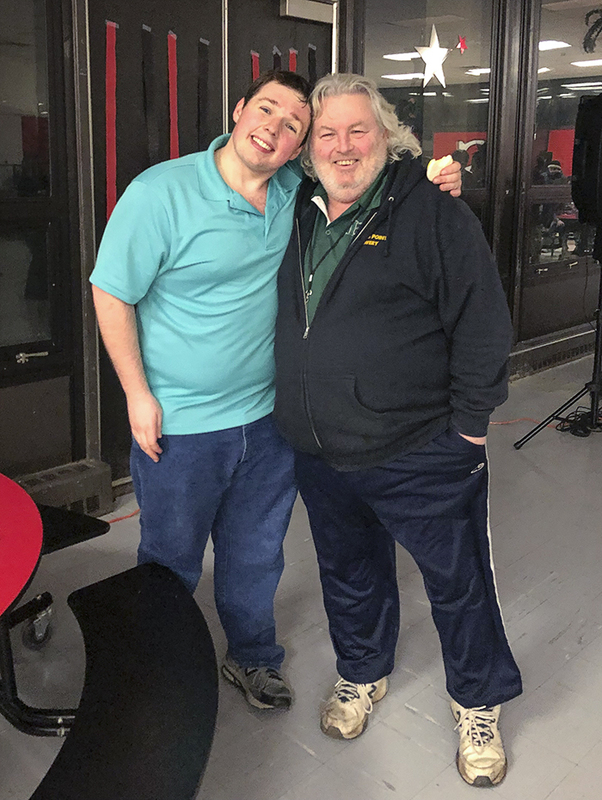 Jake is a wonderful example of today’s youth that is being raised to be compassionate and accepting of differences in people in the world around them. 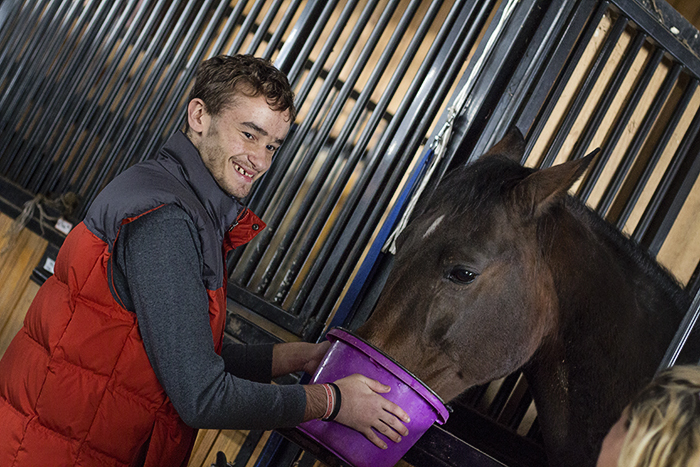 Young men like Jake give us hope that the future can be a better place. 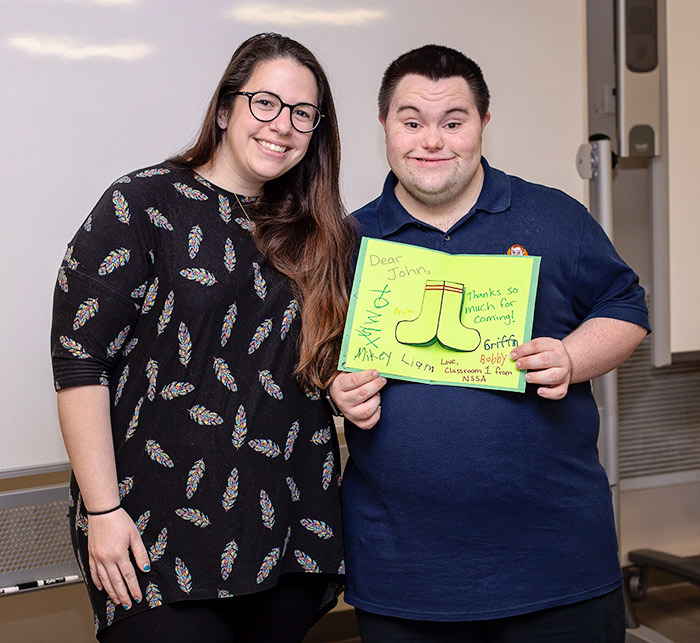 We’re so proud of Jake that we’re officially declaring him an NSSA Champion! 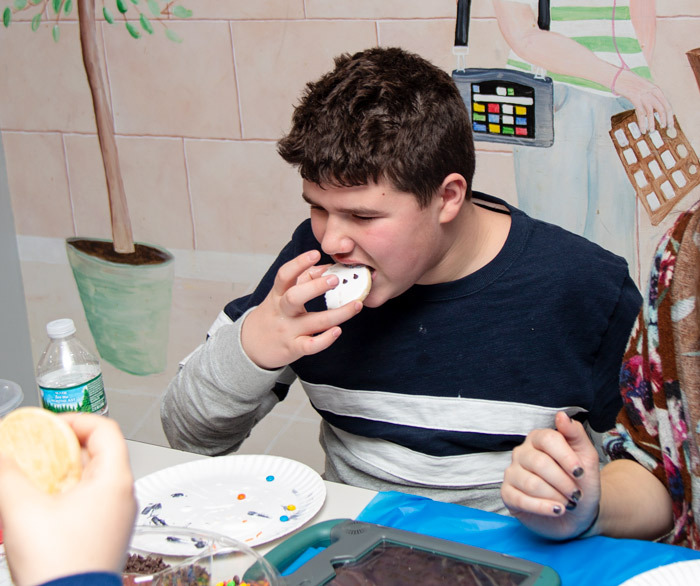 World Autism Awareness Day takes place internationally on April 2 each year. 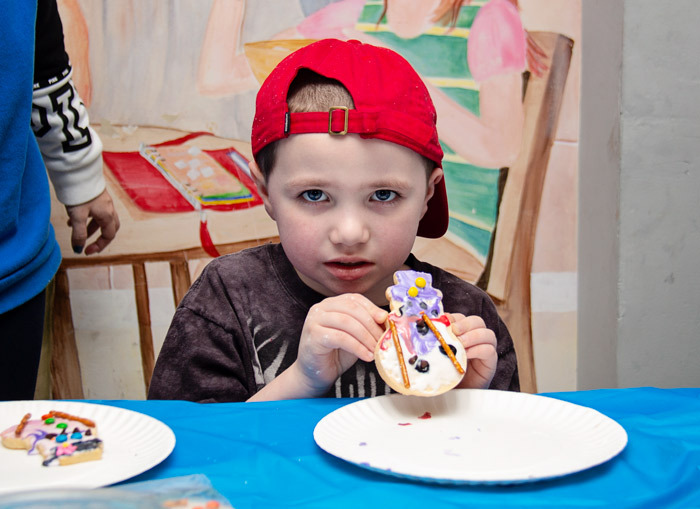 It is a time to increase understanding and acceptance of the 1 in 59 individuals who live with a diagnosis of autism. 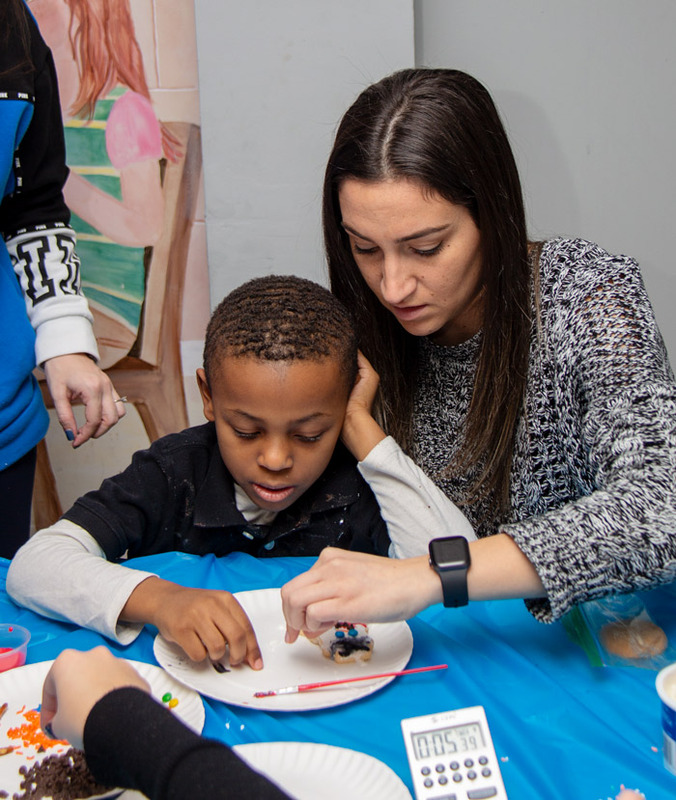 We encourage everyone to light it up blue and help to highlight the potential of those with autism, elevate their voices and spread the message of awareness, understanding and acceptance. 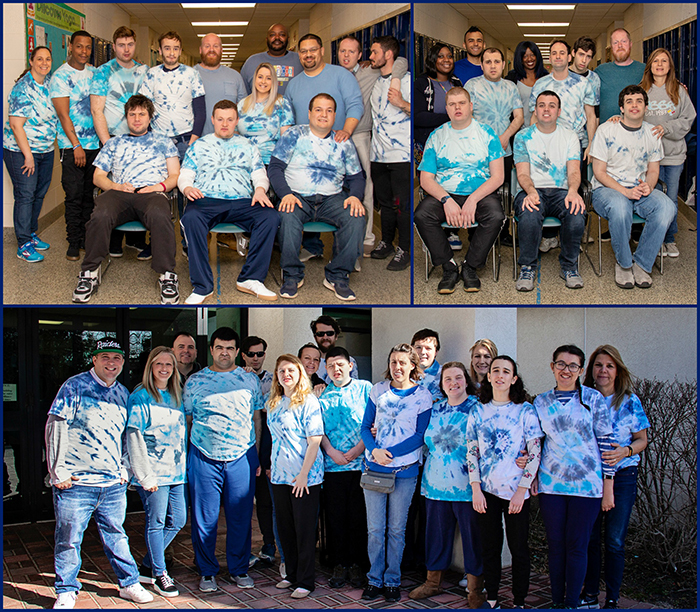 This year, we decided to get a little creative with our pledge to wear blue for autism awareness. 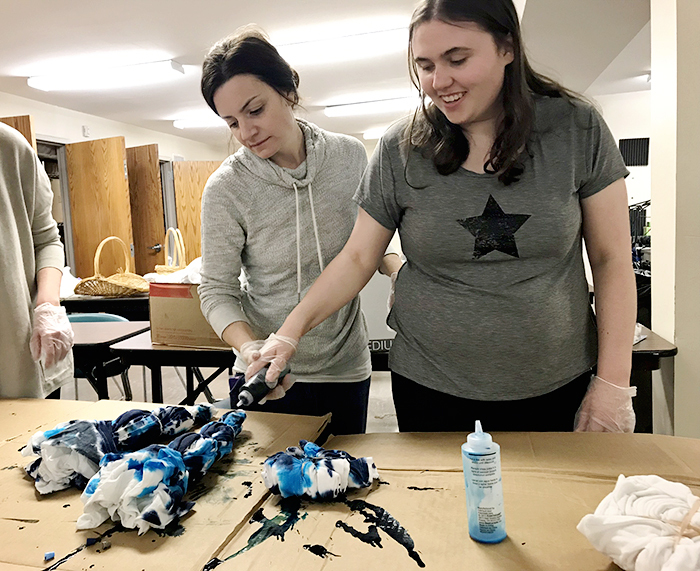 We tie-dyed t-shirts with our students and adult participants and they came out great! 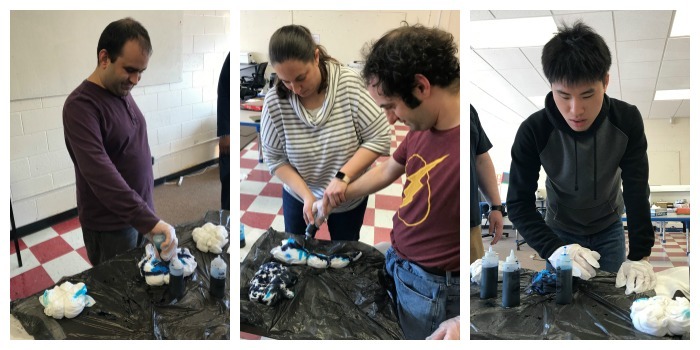 Everyone did a fantastic job waiting for their turn to tie-dye a shirt. 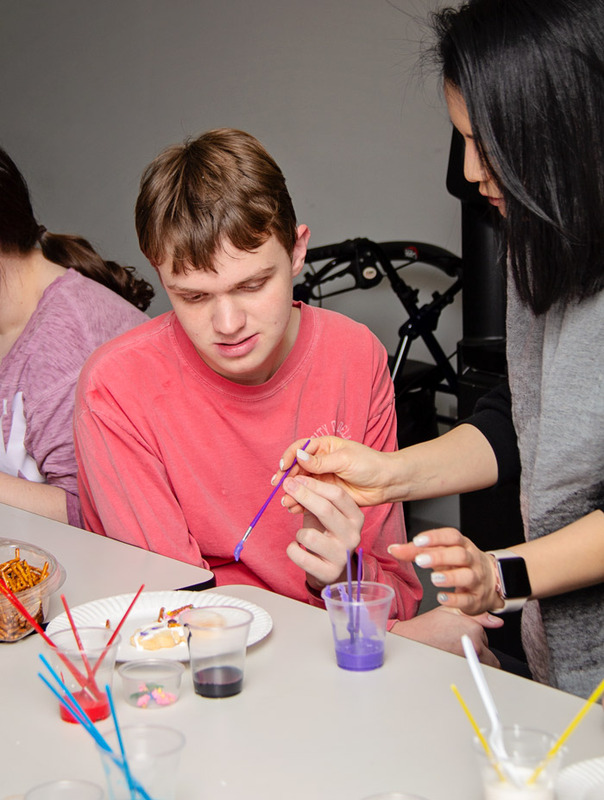 Students and clients had the opportunity to participate in a recreational activity while practicing skills such as following directions and identifying colors. 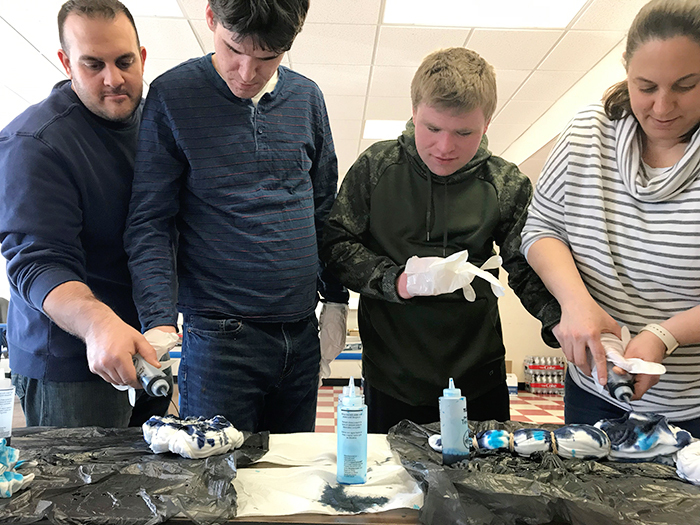 To try and minimize the messiness that comes with tie-dying, each student wore a pair of gloves. For some, tolerating gloves and rolled up sleeves required some encouragement to endure. 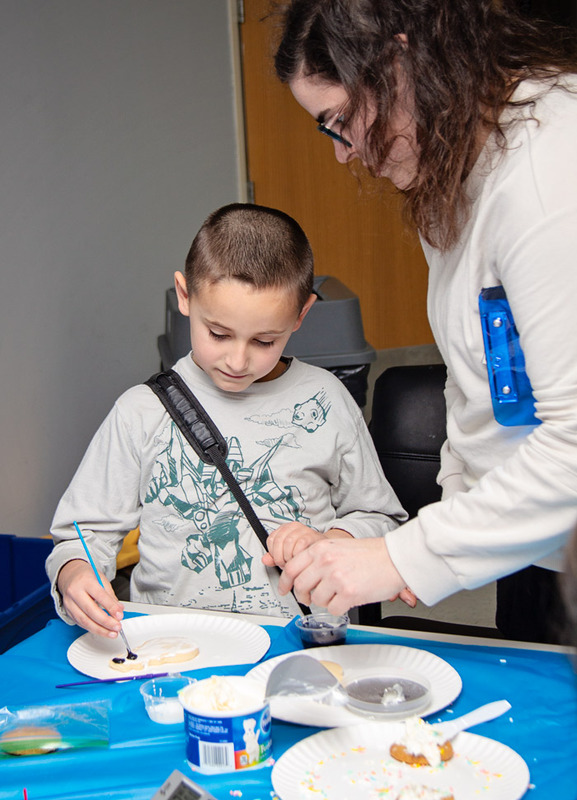 We were proud to see our students and participants work through the challenge to finish their gorgeous t-shirts! 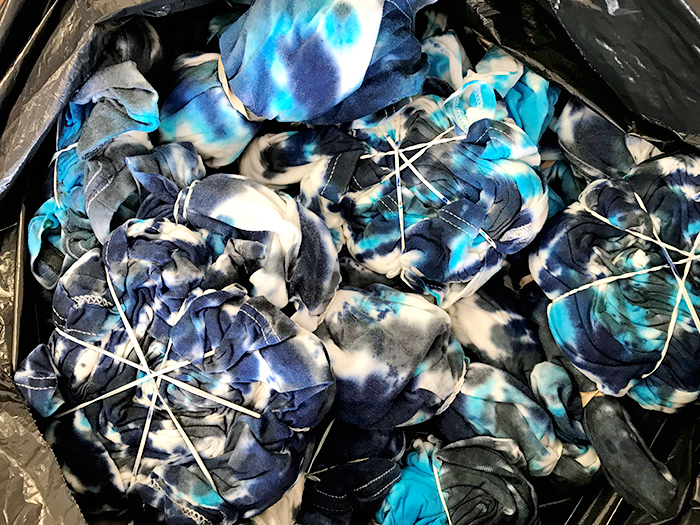 The project resulted in a sea of beautiful blue tie-dye. 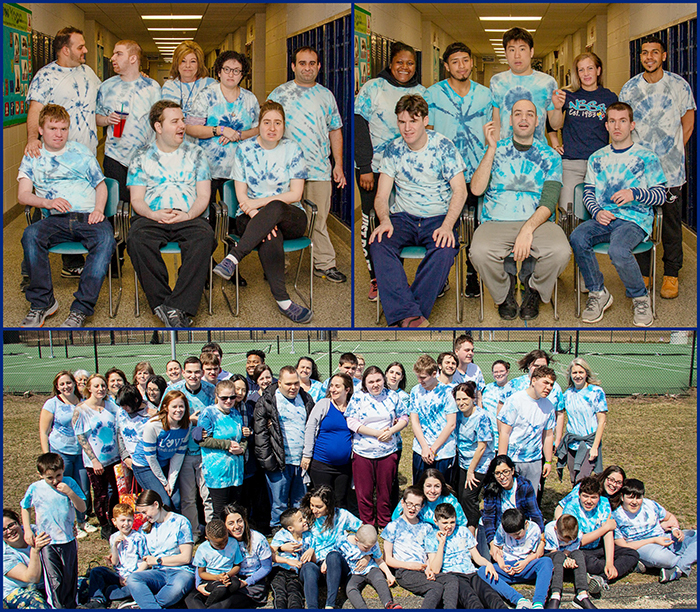 Our staff, students and adult participants look wonderful in the shirts they created. However you choose to light it up blue this year, we thank you for your support! 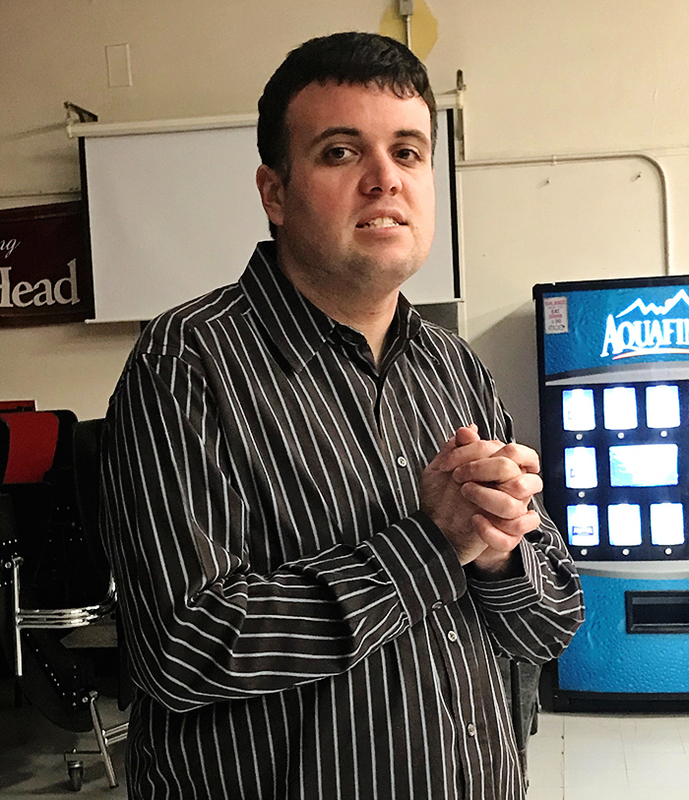 For six years, a group of NSSA’s Adult Clients have been running a morning coffee shop called NSSA Cafe at the Martin C. Barell School. This has been a welcome perk to teachers and staff. 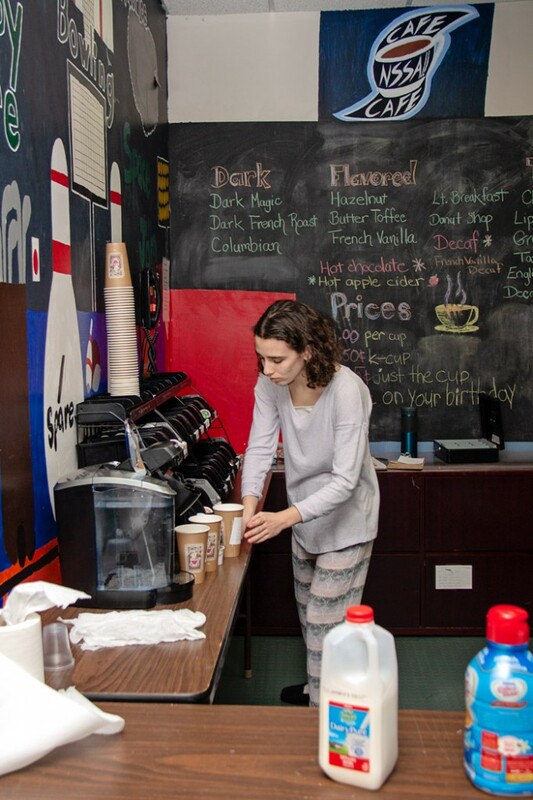 As soon as the young adults arrive they get busy preparing for customers, setting up their work station in the gym, setting out milk, sugar, cups and stirrers and putting money in the cash register for making change. 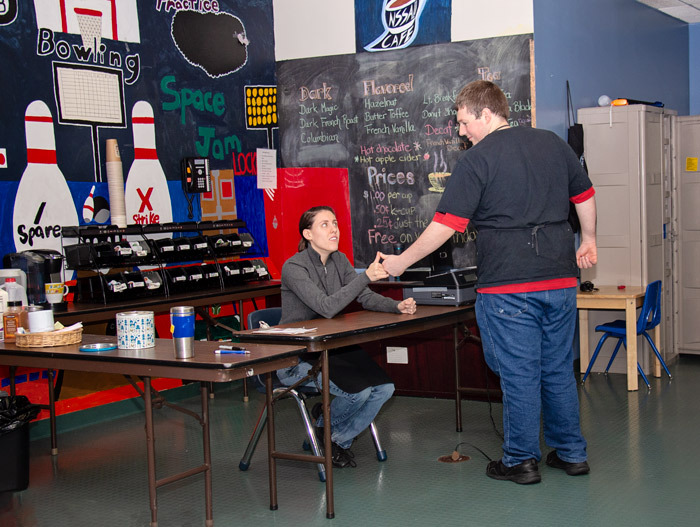 Michelle goes around the building with clipboard and order form, taking teacher and staff orders. Once she’s taken someone’s order, she knows it forever. She can even recommend new coffee flavors if a customer’s favorite is out of stock. While Michelle is out taking orders, the others start filling requests from customers who go to the coffee shop themselves. 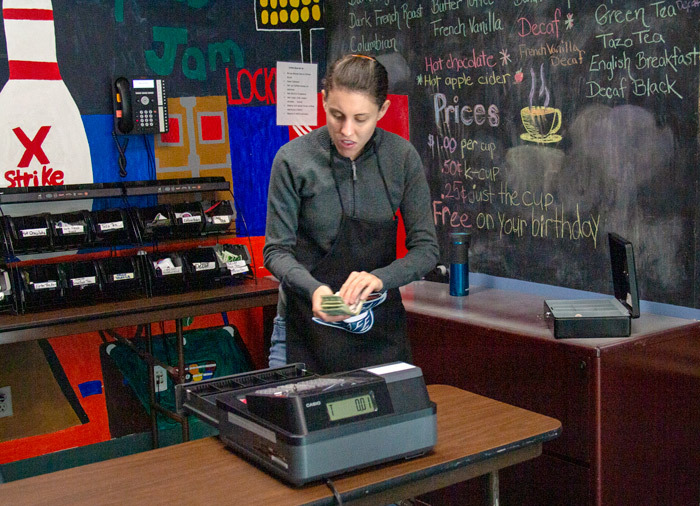 Katherine takes orders at the register and makes accurate change every time. Alex makes the coffee and keeps the milk and sugar containers filled and neat. Once drinks have been made, Jessica takes one cup at a time to its awaiting recipient. Plenty goes on behind the scenes as well. 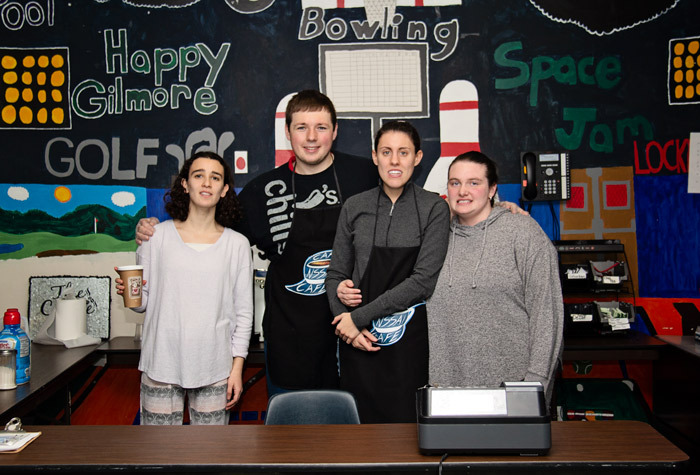 In addition to running the coffee shop itself, the adults are also responsible for keeping track of inventory and purchasing supplies and cleaning their coffee station and equipment. 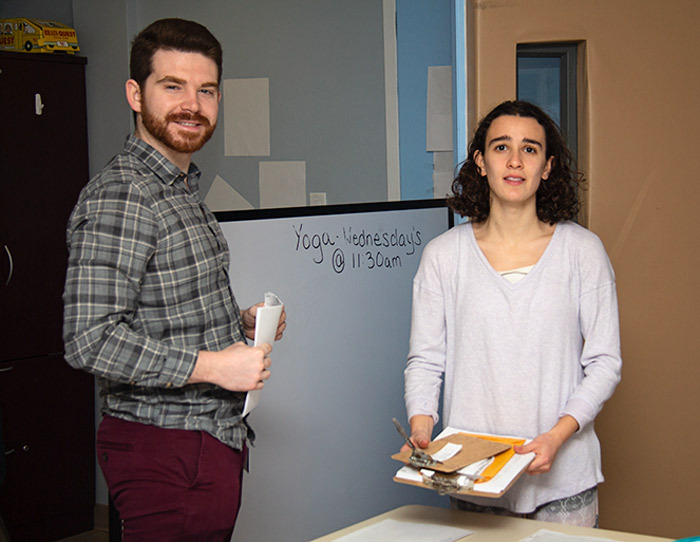 All the coffee shop related tasks are aligned with their goals of socialization, money management, sorting and inventory and following directions on purchasing supplies and staying on task. We all like the NSSA Coffee Shop a latte. 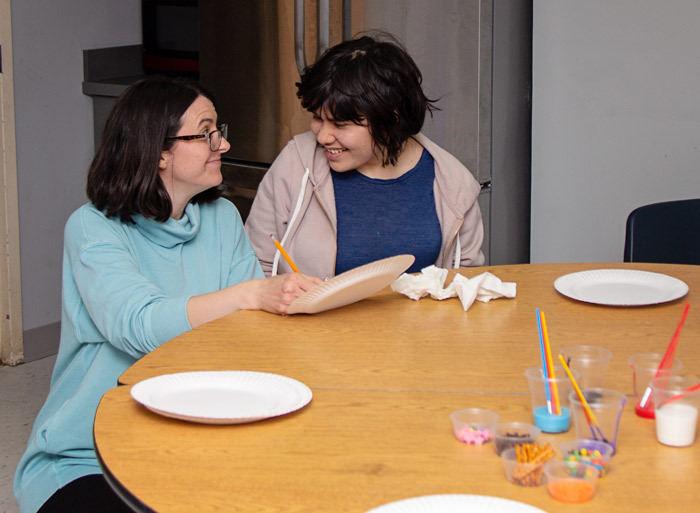 Many individuals with autism have extremely limited areas of interest and have to be taught how to pursue leisure interests on their own. 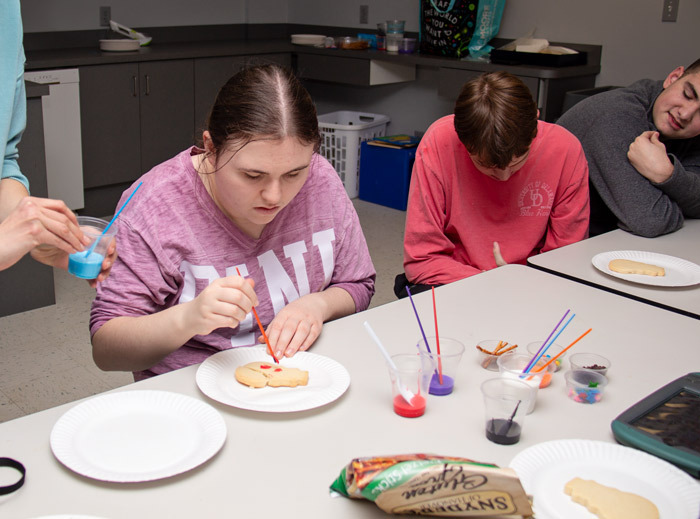 Thanks to a generous grant from The Jack Fanning Memorial Foundation, NSSA has been able to offer the participants in its Adult Services Program opportunities to pursue a wide variety of leisure activities, such as music, yoga, bowling, painting, cake decorating, horseback riding and more. 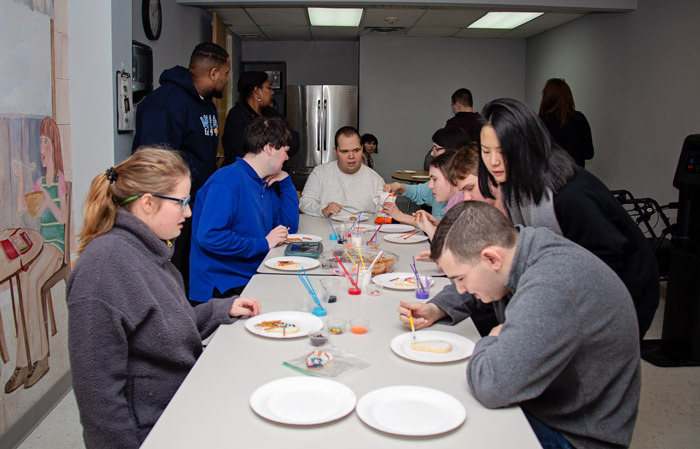 At NSSA we believe that the quality of life for all people is enhanced by developing a variety of interests to pursue. 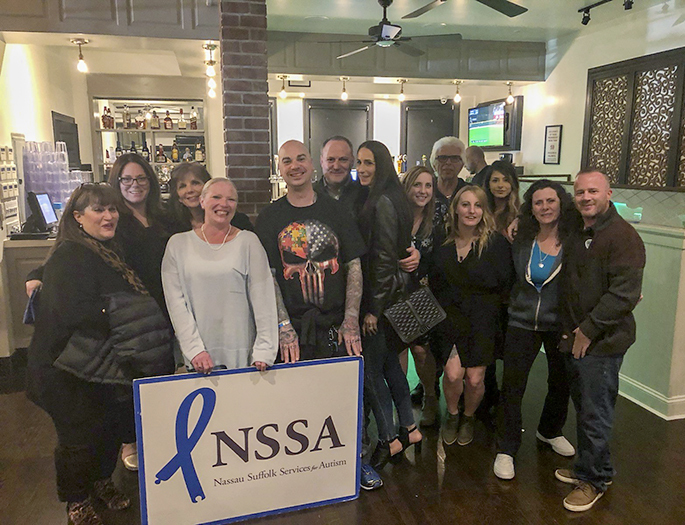 Through the generosity of The Jack Fanning Memorial Foundation, NSSA’s Adult Services participants are enjoying new leisure activities. 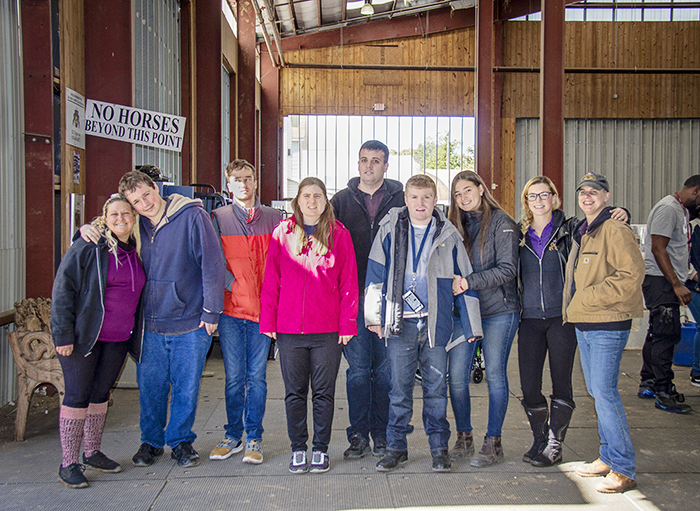 On October 25th, a group of adult participants went to New York Equestrian Center (NYEC ) in West Hempstead, NY. 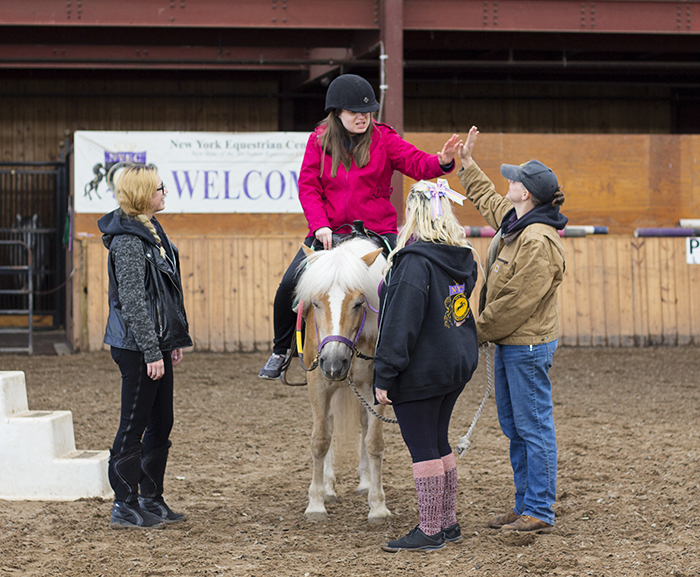 NYEC has a comprehensive therapeutic riding program that is specific to riders with special needs. 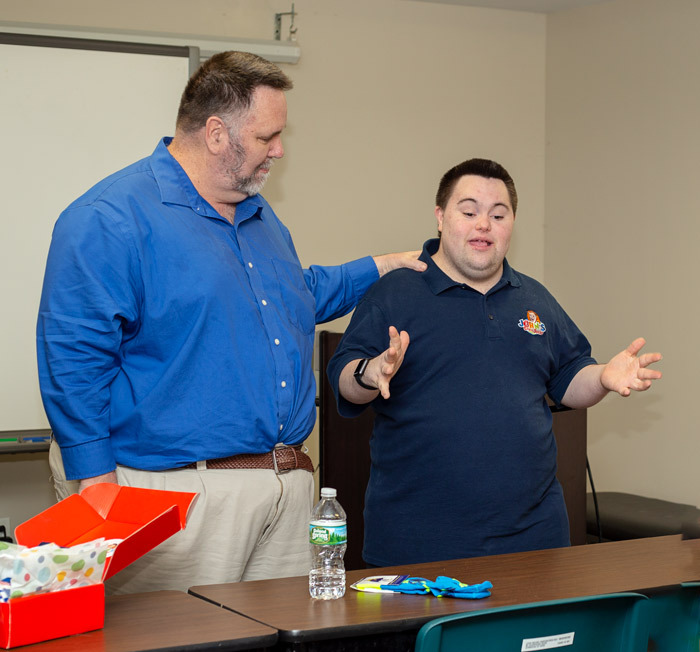 The program has existed for several years and caters to those with physical, developmental or emotional disabilities. 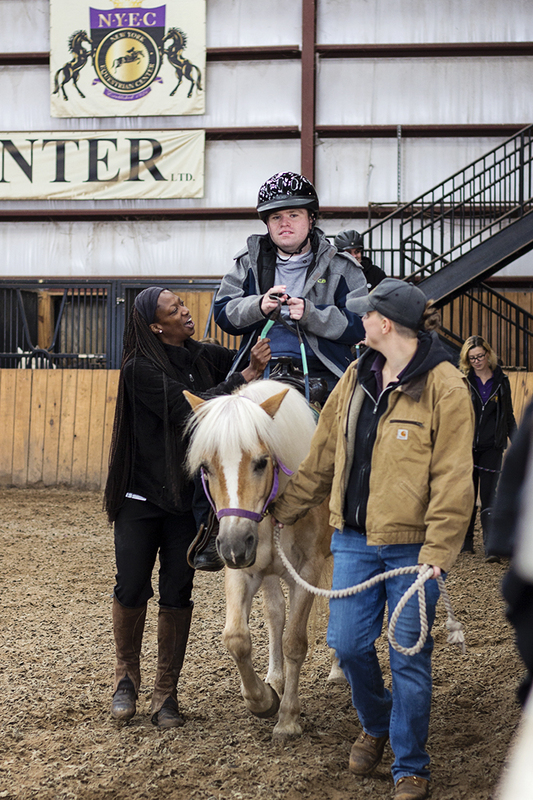 The program operates under PATH International guidelines which is the association that certifies riding instructors through training and education to safely and competently work with differently-abled individuals. 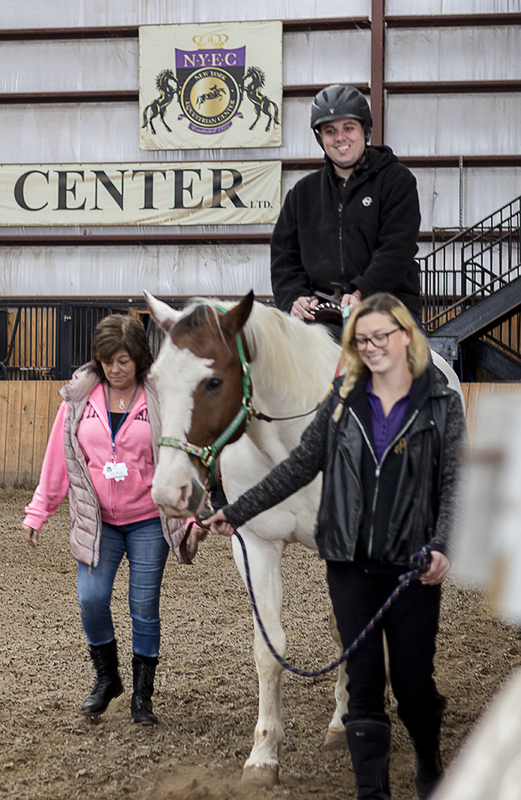 PATH International has guidelines on therapeutic riding instruction that NYEC uses to asses both the individual as well as the most appropriate horse for them. 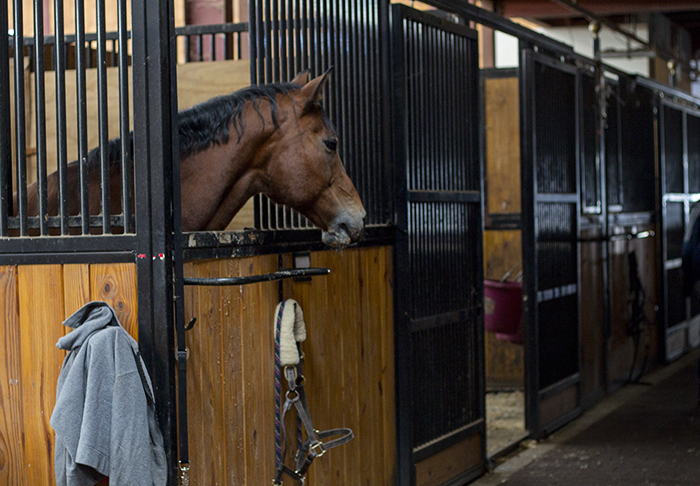 While horses all have their own unique personalities, NYEC instructors assign specific horses for specific needs. 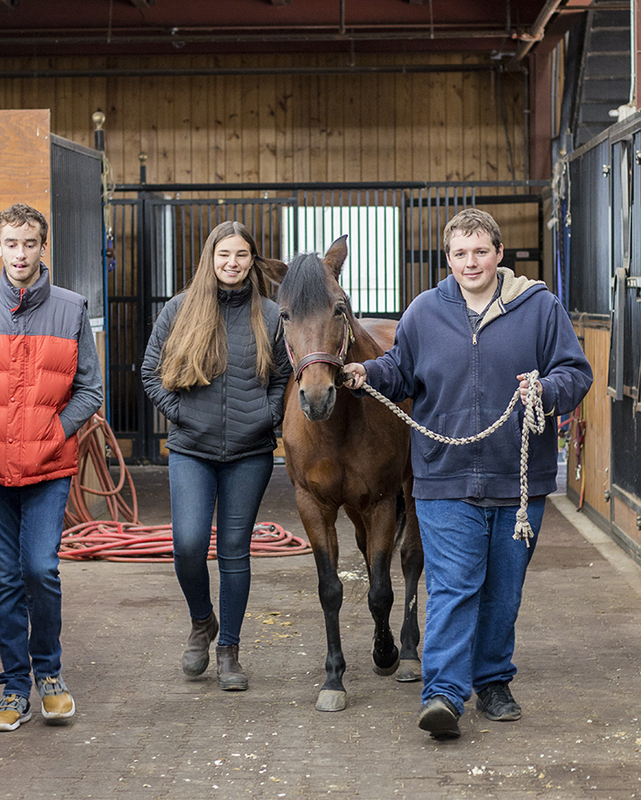 For individuals on the autism spectrum, for example, they use a horse with a slower, smoother gait to provide less stimulation. 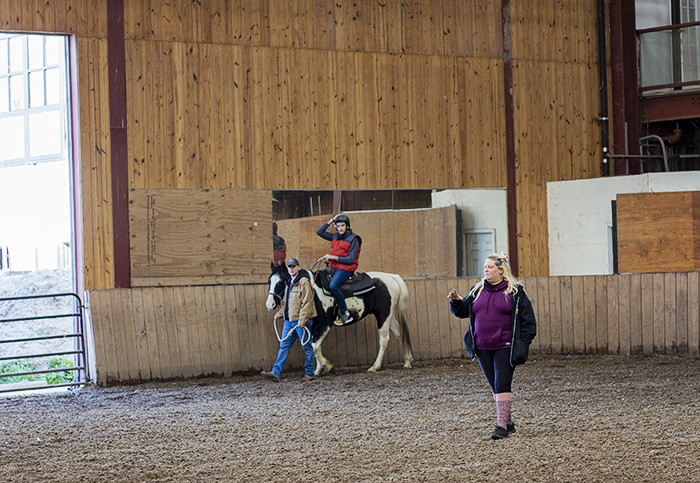 Jessica Boily was there to welcome the adults to their extended riding lesson, which takes place both mounted and on the ground. 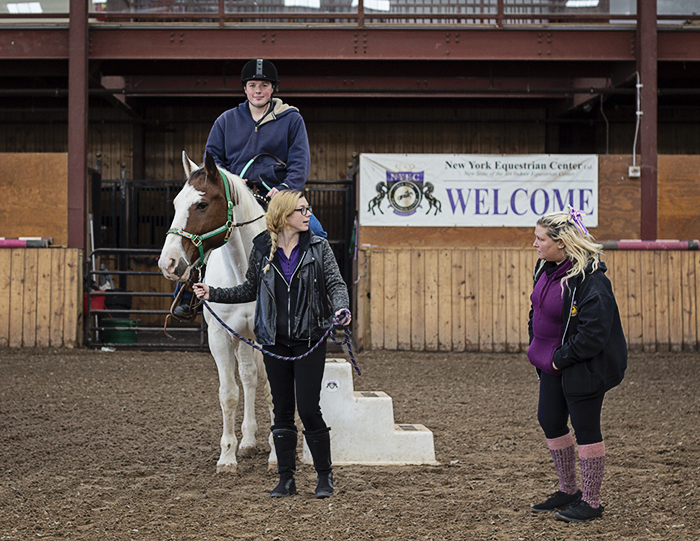 Jessica is a PATH International Instructor and Director of the Therapeutic Riding Program at NYEC. 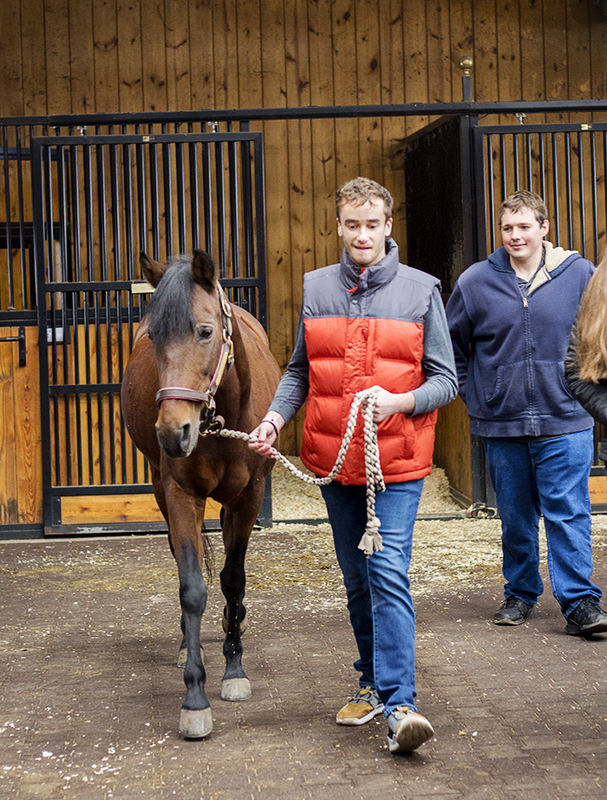 The adult participants started their visit with a tour of the facilities, petting velvety noses as they walked down the stable aisles. 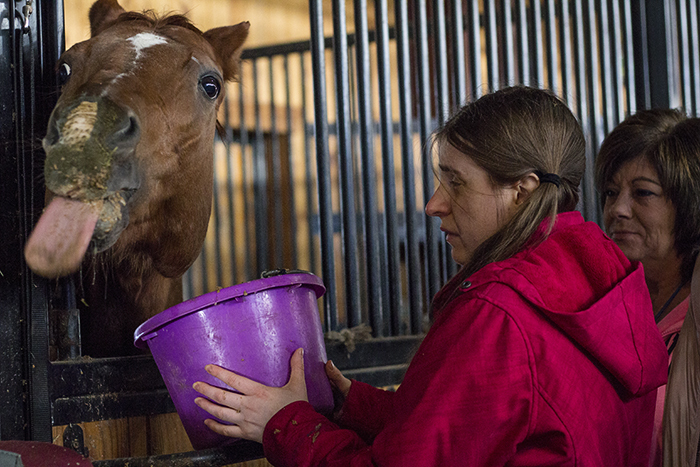 They saw where the horses sleep, eat, are groomed and bathed, and where they go for outdoor turnout and exercise. Then the group was split into two; with some donning protective riding helmets and others picking out brushes for grooming. 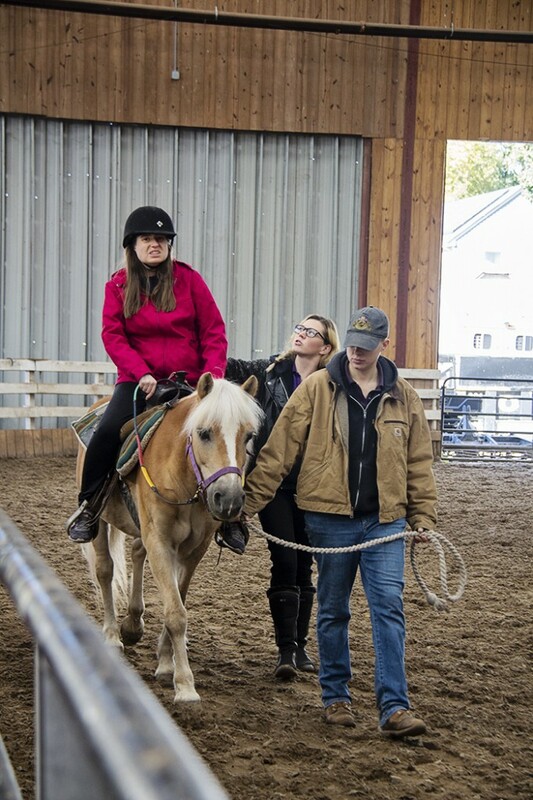 The riders were helped up a sturdy mounting block and onto the horse they were riding. 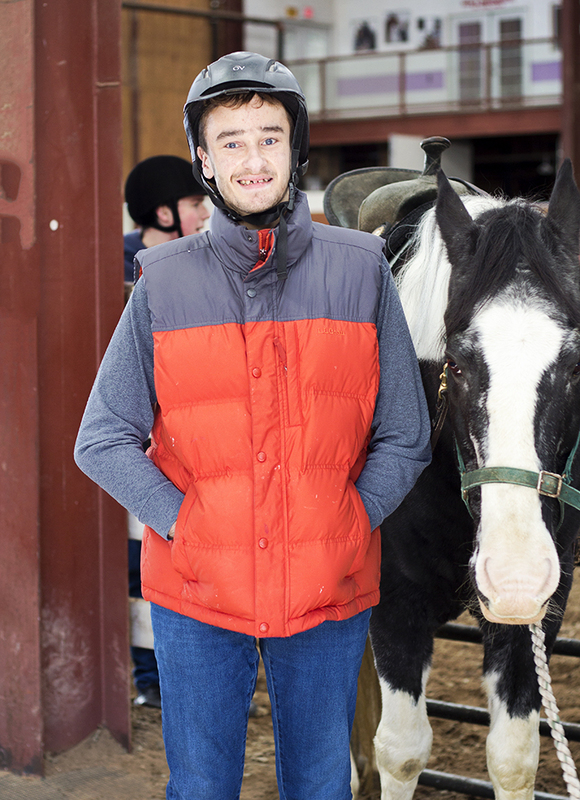 The horses were well-behaved and stood still while their riders clambered aboard. 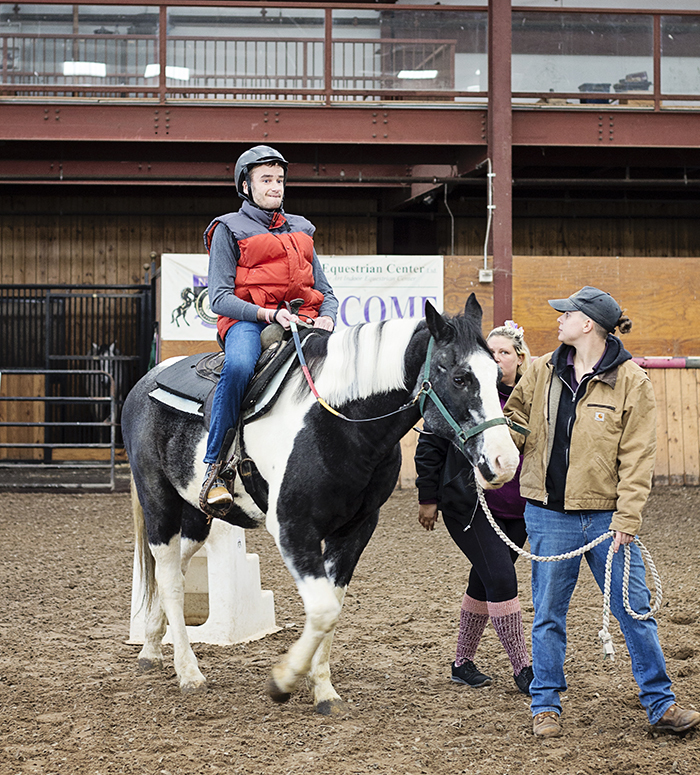 Once mounted, riders were shown how to position their hands on the reins and their feet in the stirrups, and off they went. 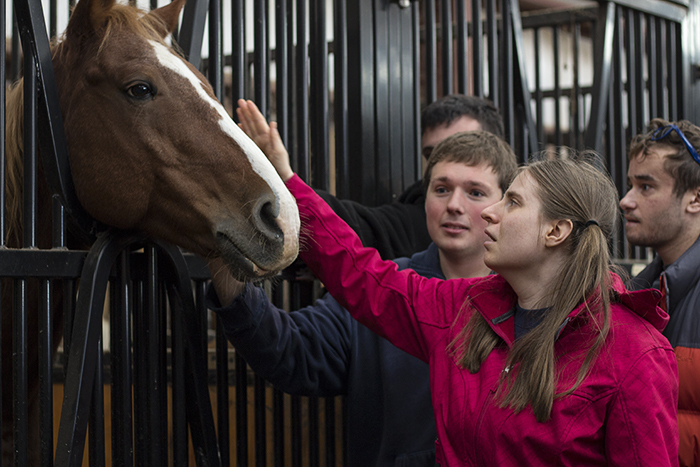 Each participant was accompanied by an assistant, leading the horse and staying close to offer guidance and instruction. Instructor Jess went back and forth, adjusting position and offering encouragement and praise. 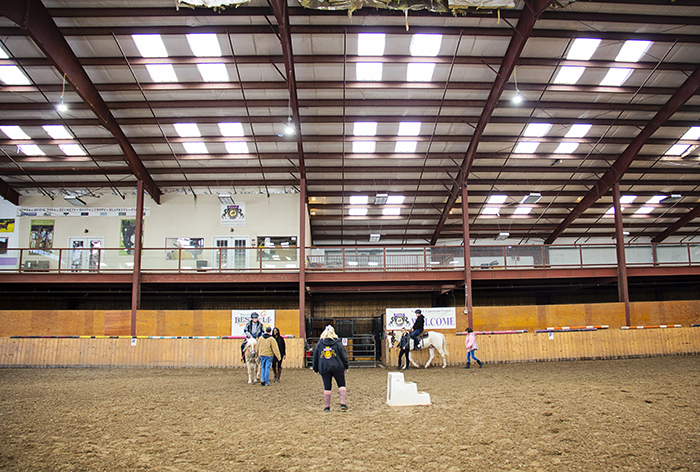 Every participant seemed perfectly at-ease with getting on and walking around the ring, even those who had never been on a horse before. One client who has been riding for several years even got to do some trotting. And the smiles! 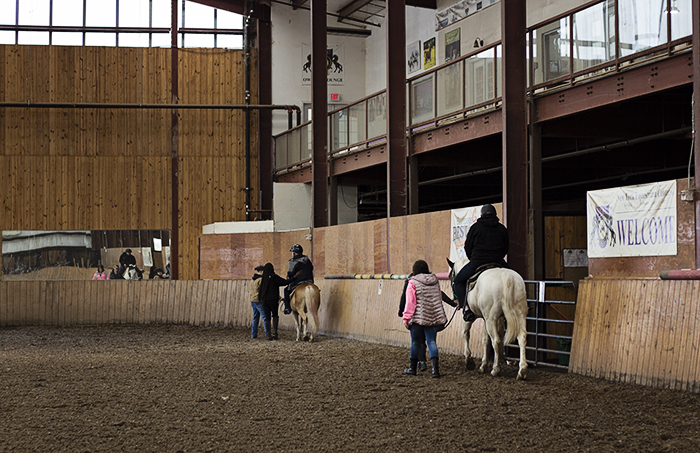 The indoor arena was positively glowing that chilly morning. 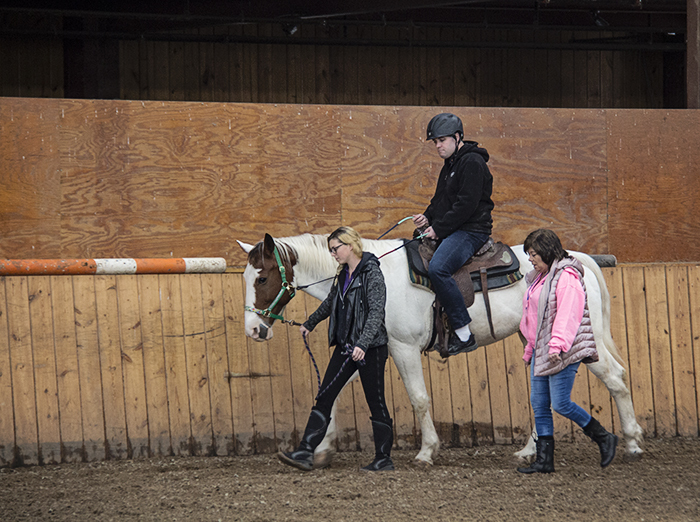 While the first group was riding, the others were learning how to groom a horse. 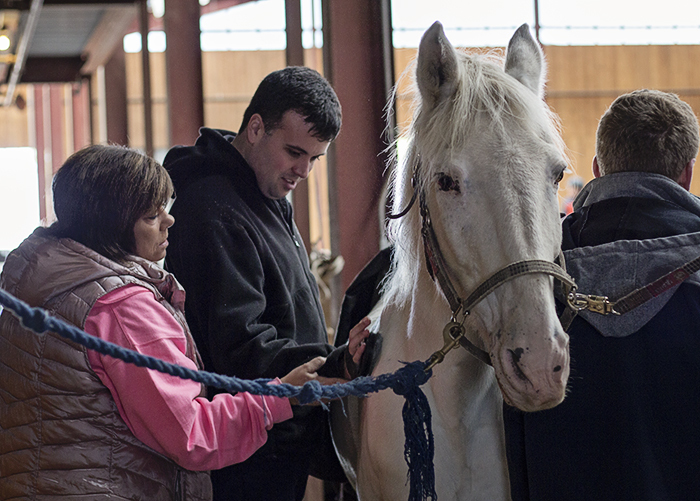 Each chose a different brush and were shown how to move around a horse safely, while still getting them clean all over. 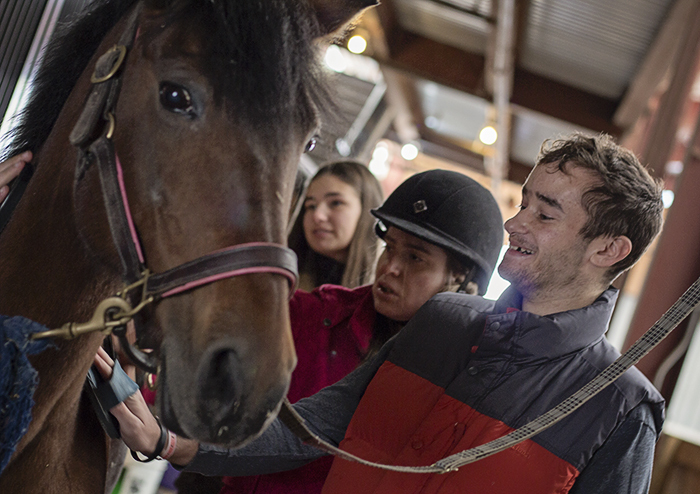 Everyone seemed eager to be as close to the horse as possible and Lola was patient and still even with a dozen or more hands moving over her body at the same time. 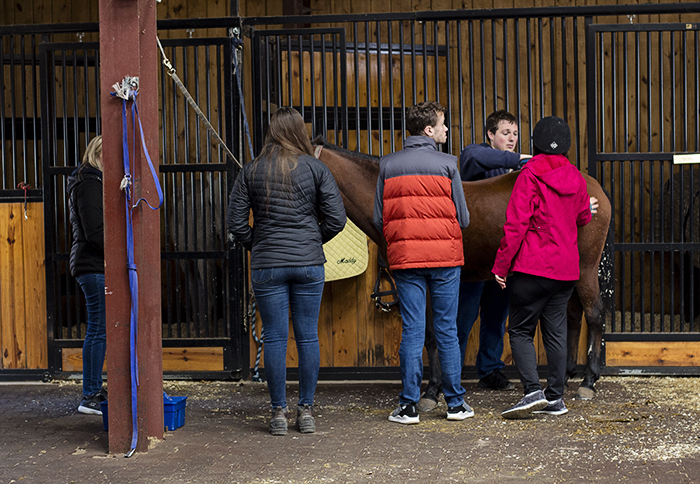 Eventually the groups switched roles and new riders mounted up and others continued grooming a different horse on the cross-ties. 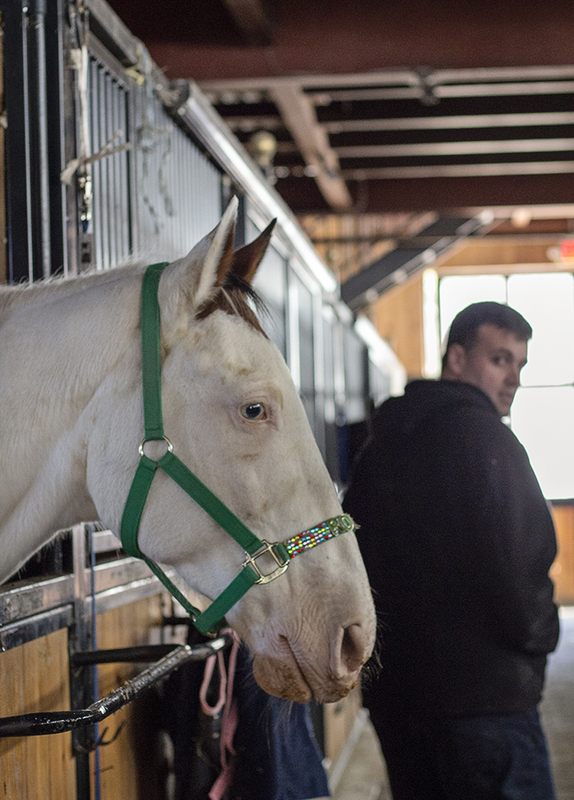 Some of the more adventurous clients took turns leading a horse up and down the barn aisle, under the watchful eye of a stable employee. 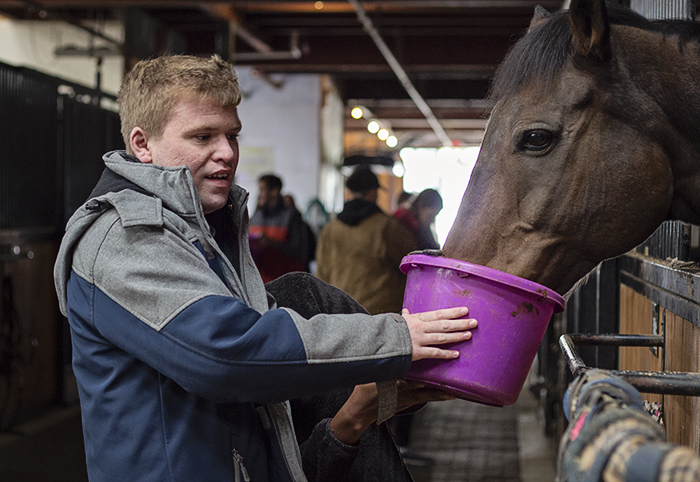 After the mounted and ground lessons were finished, everyone got a special treat (including the horses!). 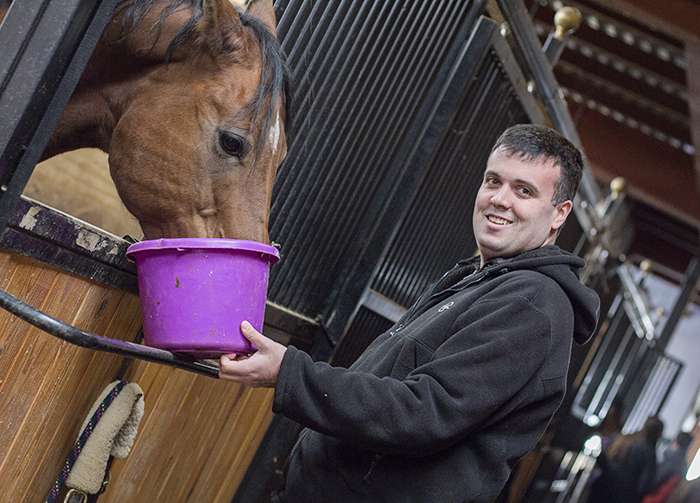 Each client got to take a bucket of bran mash (a warm lunch treat for the horses) to a different horse and feed them. 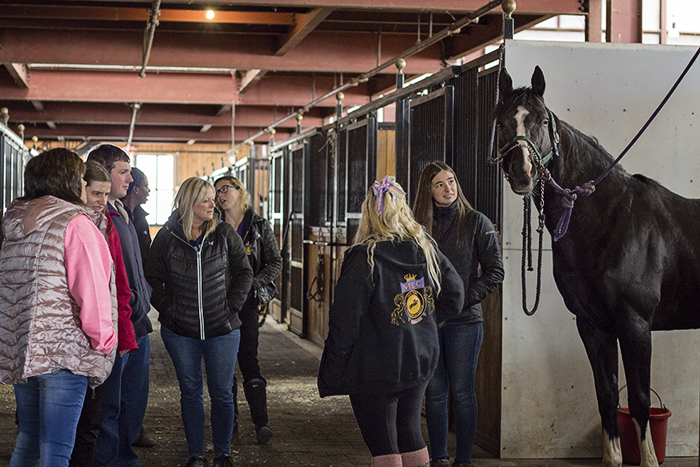 The afternoon ended with hugs between NSSA clients and their new friends at New York Equestrian Center. 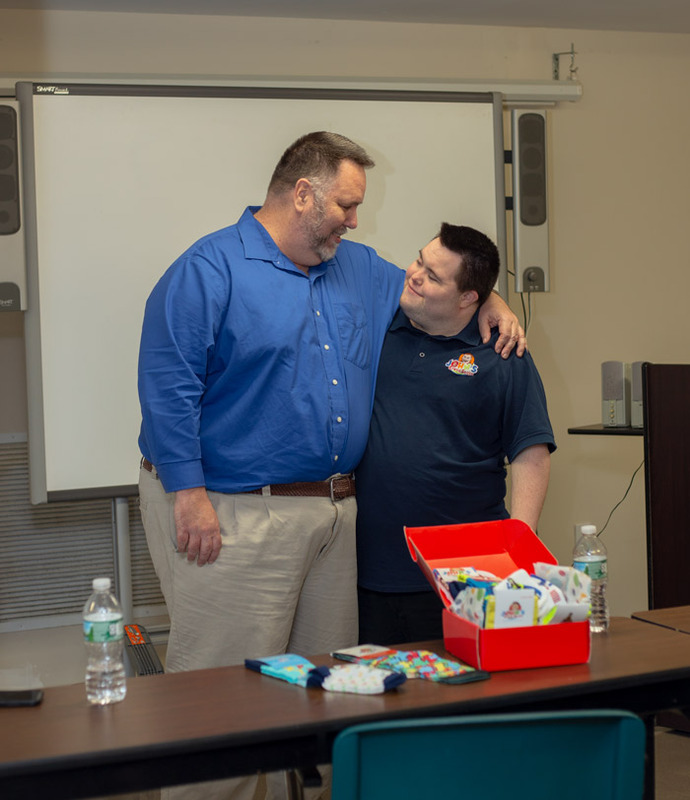 We thank the center, all the helpful staff members, and especially Jess Boily for her experience and patience in helping our adult clients enjoy such a wonderful and memorable experience.